There is no place you could possibly have been to know that there is an election coming up. Tomorrow is election day and we will find out the direction of our country for the next four years. This is not a political website, and both candidates have positives and negatives, especially when it comes to healthcare. The involvement of podiatry in health care REDUCES health care costs! Well, they didn't say that to me specifically, but they pointed to a landmark study conducted using Thomson Reuter MarketScan Databases shows that the involvement of a podiatrist on a team treating the diabetic foot shows a significant reduction of amputations. In fact, the study showed that if a person had visited with a podiatrist in the year prior to the onset of a diabetic foot ulcer, the rates of amputation and hospitilization was drastically reduced. Amputations related to diabetes is the leading cause of non-traumatic amputation of the lower extremity, which correlates to a $3 billion expense per year. November is American Diabetes Month, a time to educate the public on diabetes. If you or your loved one is diabetic, make sure he has a good relationship with a podiatrist. Not a week goes by that we don't get a concerned call from one of our diabetic patients with a foot issue. The quicker an issue is identified, the better we can get it quickly resolved. Houston podiatrist Dr. Andrew Schneider is always available for our diabetic patients. It's time to take control of diabetes...no matter who is elected President. PS. 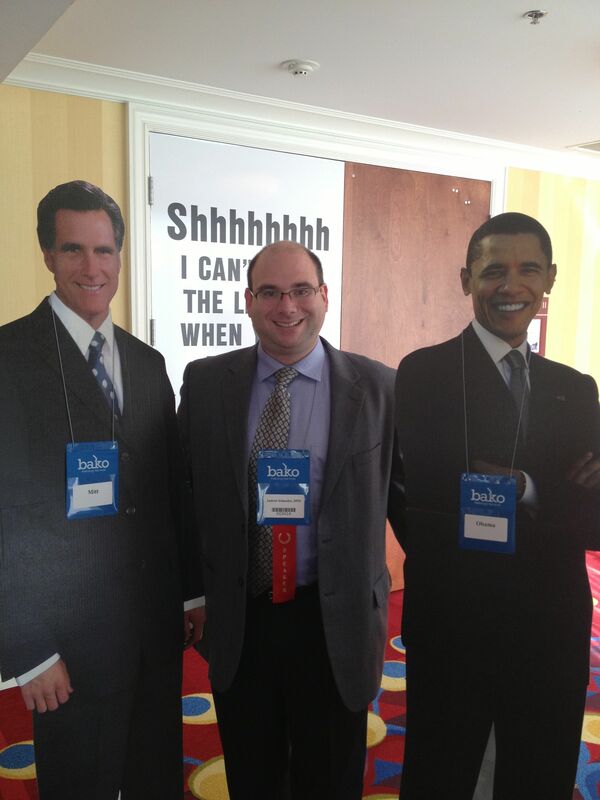 I have not spoken with either President Obama or Governor Romney...but I did have fun with their cardboard cutouts!